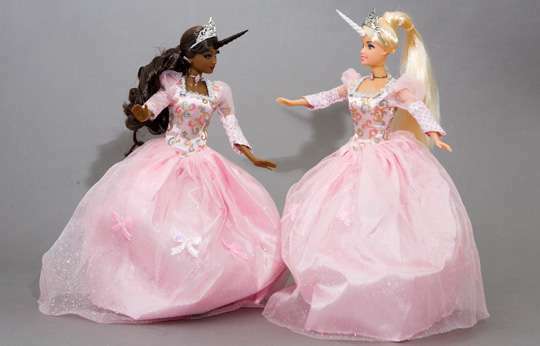 बार्बी unicorn princesses. . Wallpaper and background images in the बार्बी club tagged: barbie doll fairytopia princess magic. This बार्बी photo might contain दुल्हन का गाउन, शादी का गाउन, शादी की पोशाक, दुल्हन गाउन, गाउन, बॉल गाउन, and गेंद गाउन.